We now enter the church once again, through the West entrance, so the old main entrance. We come in the exonarthex first, that’s this. Note how all the floors and walls are covered with marble. In the exonarthex is a small exhubition of some reconstruction drawing and the like, I will show two because I like them. 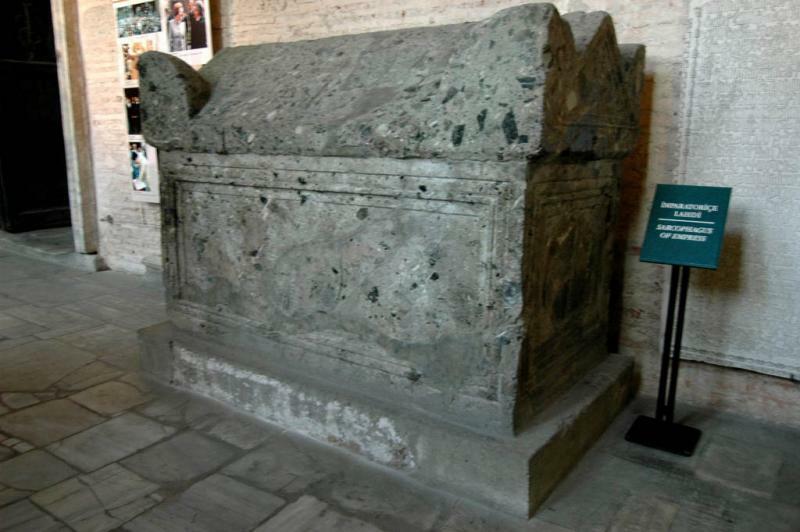 Also you will find the sarcophagus of some empress. Not quite the quality you may find in the Vatican museum in Rome. There they used porphyry, this is rather ordinary stone.